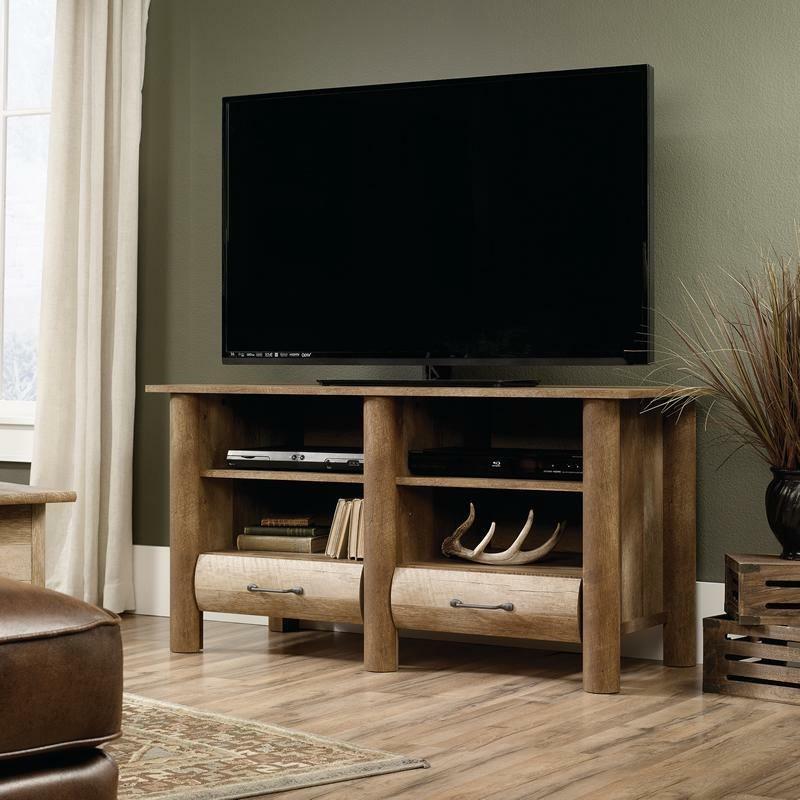 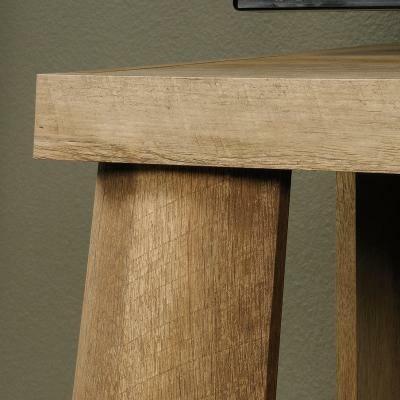 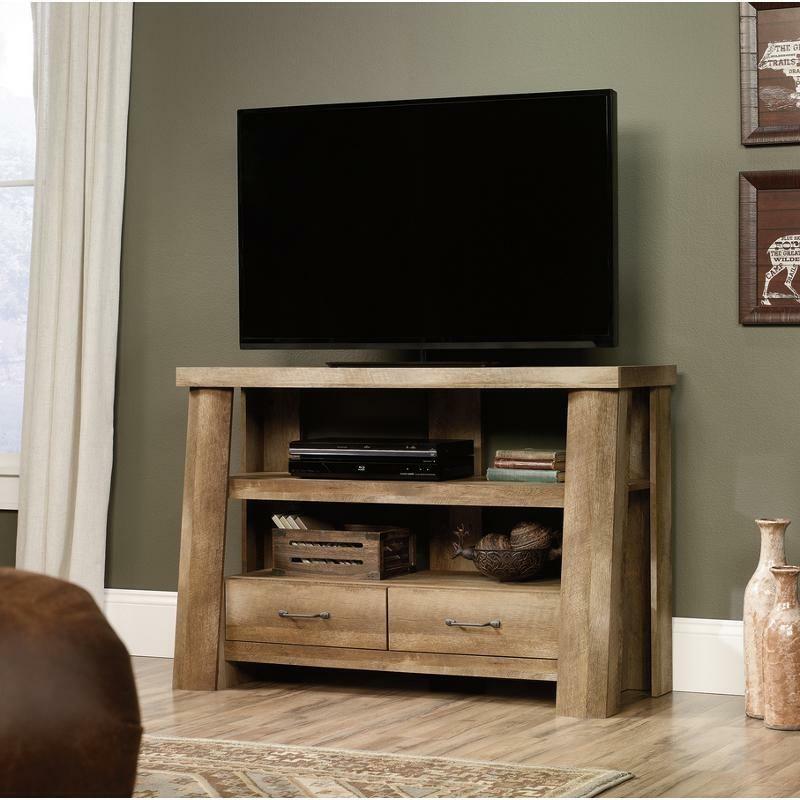 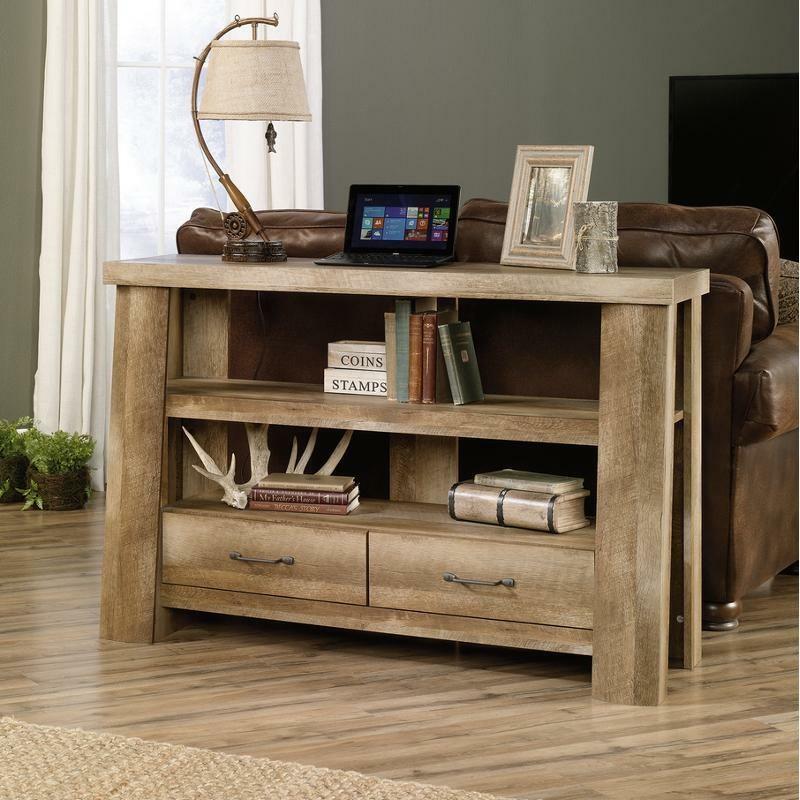 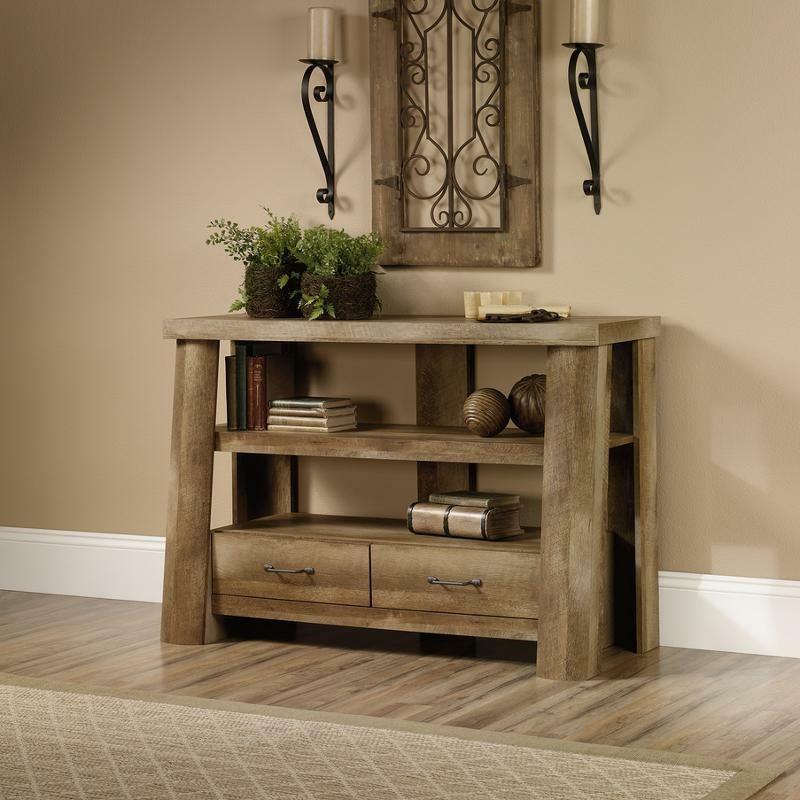 The Anywhere TV Console from Sauder offers a cabin style and a warm rustic feel. 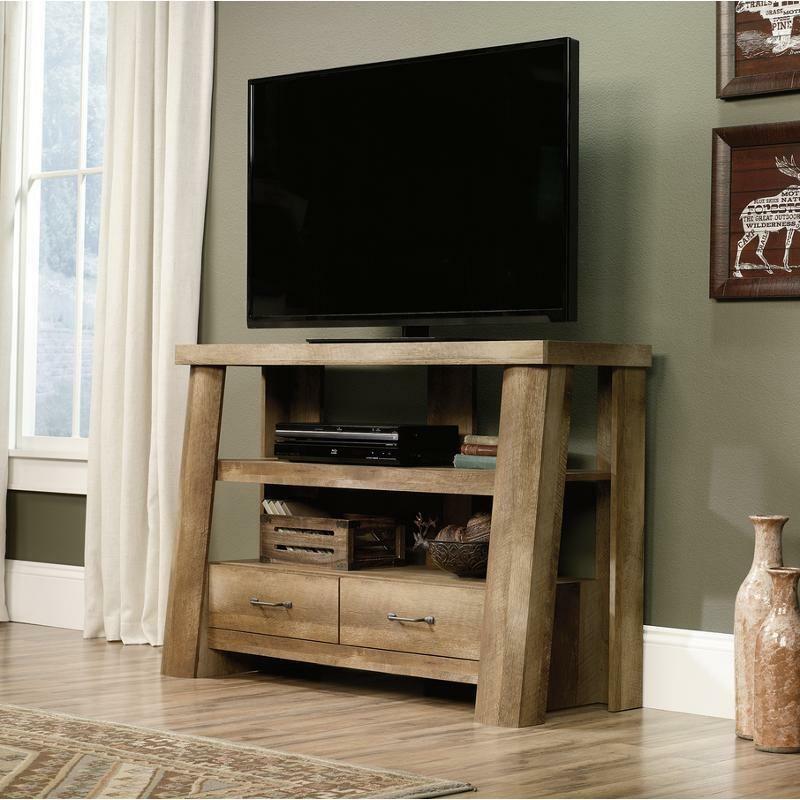 It features a sturdy, lodge log construction, two open shelves and two storage drawers with metal runners and safety stops with a patented T-lock assembly system. 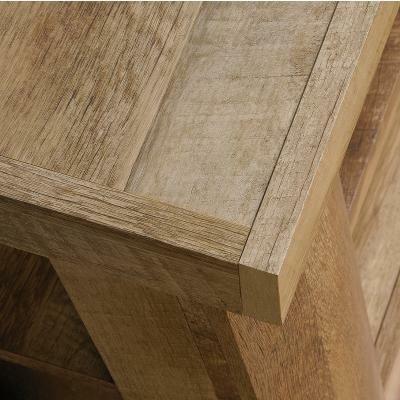 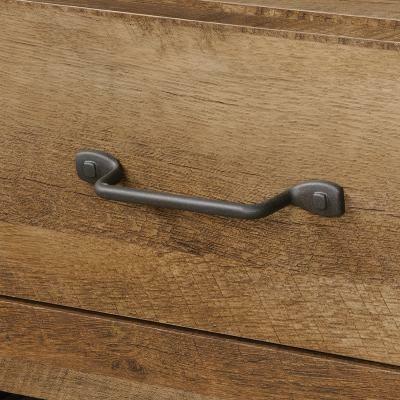 It comes in a charming oak finish. 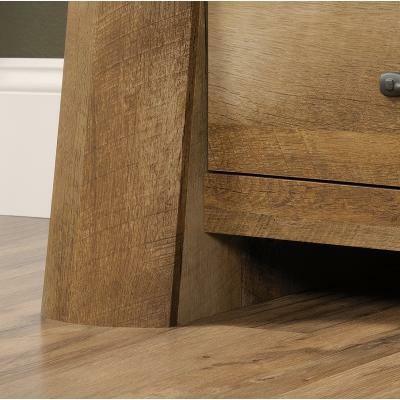 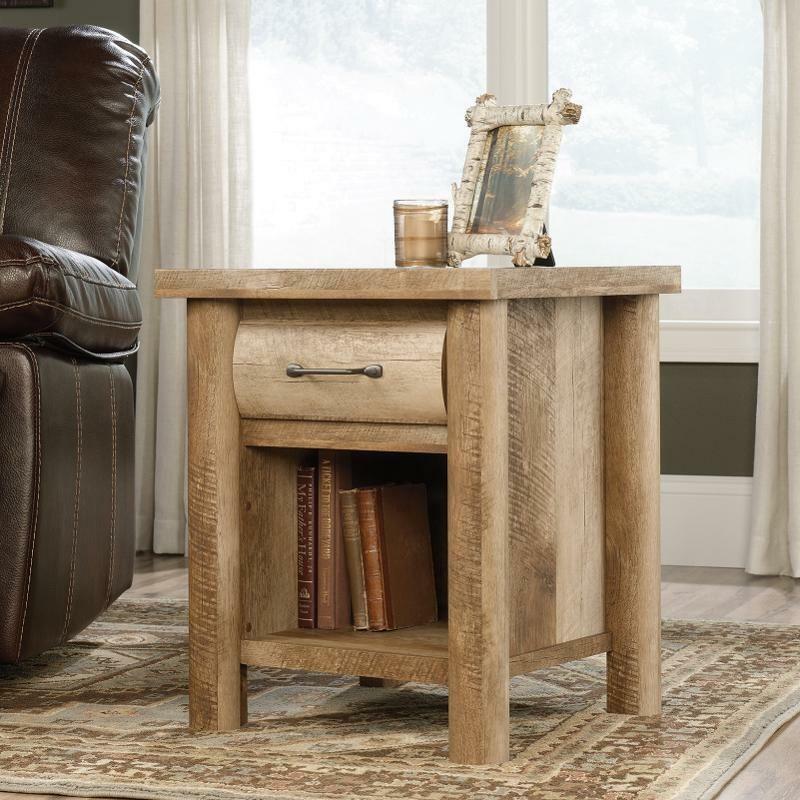 The Boone Mountain Side Table from Sauder features an easy glide drawer with metal handles, a sturdy lodge log construction, an open shelf for wide storage and display and a rich oak finish.